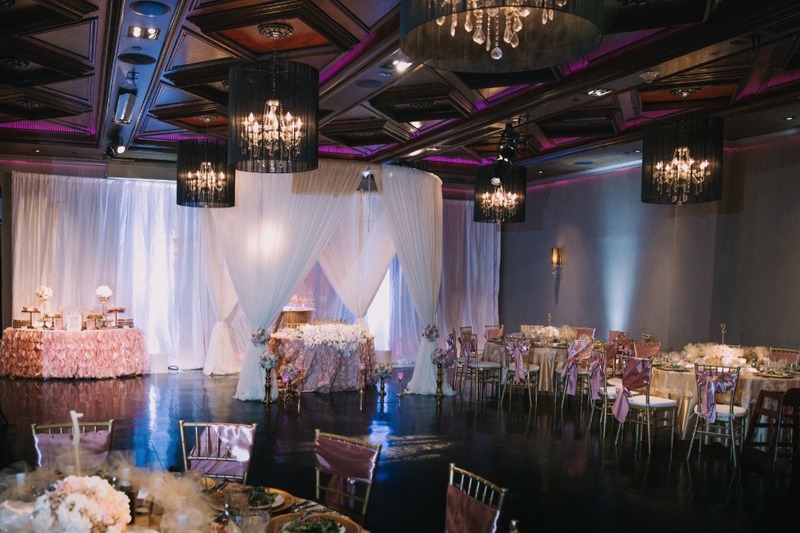 The lovely Noor Ella Ballroom in Pasadena, California was transformed into a magical scene overflowing with sparkle and glamour. 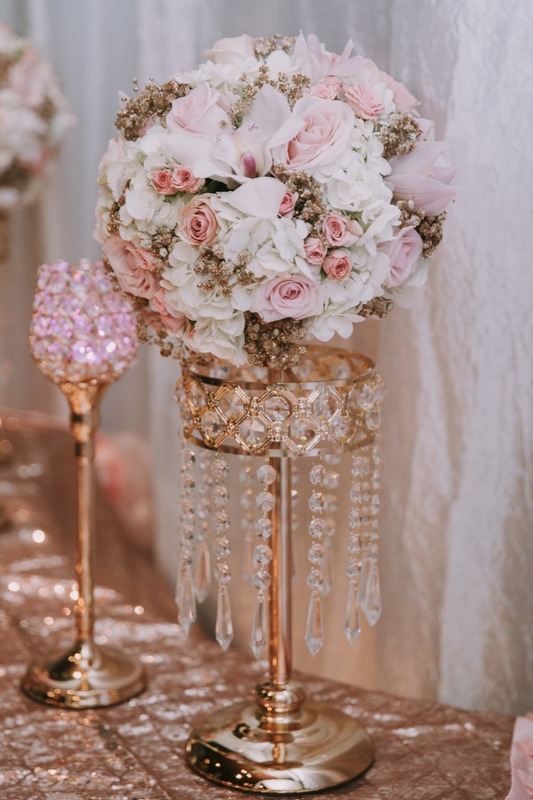 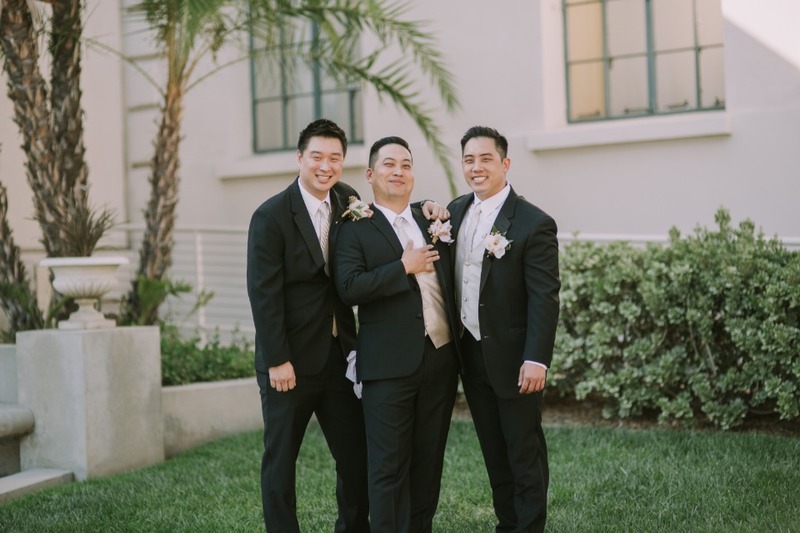 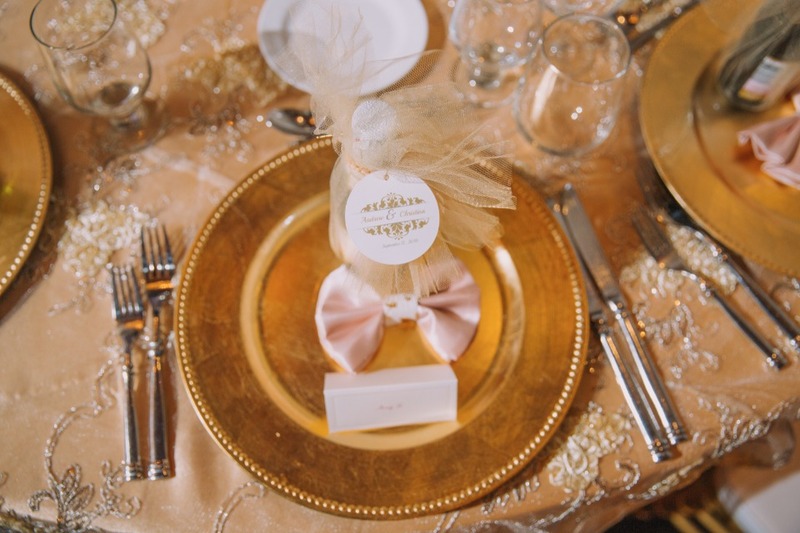 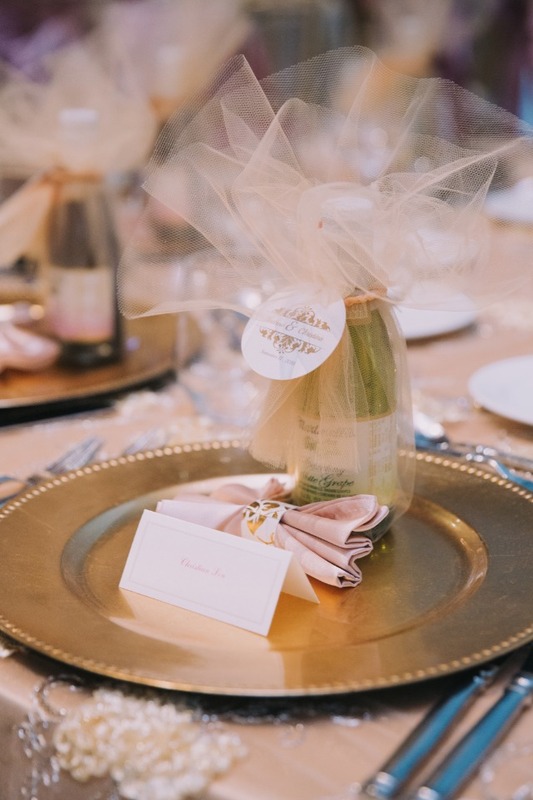 From an elegant ceremony to their lavish reception, gold and blush come together in a most dreamy way from DCFL Events. 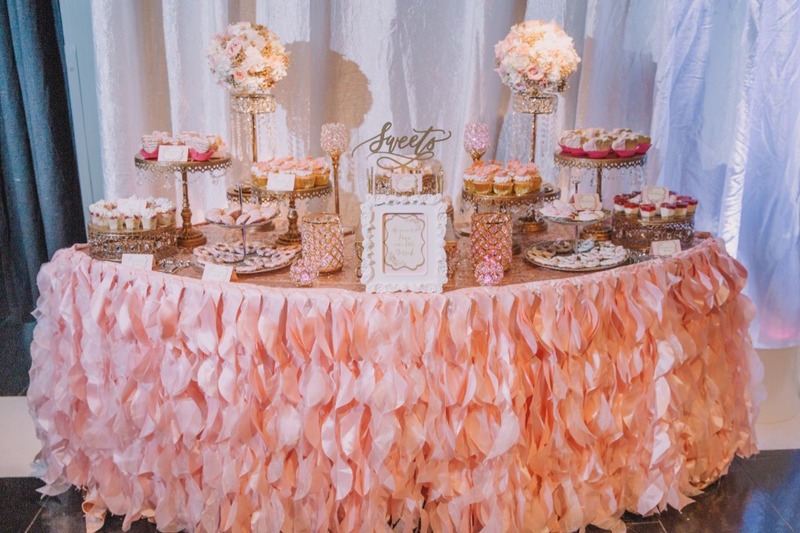 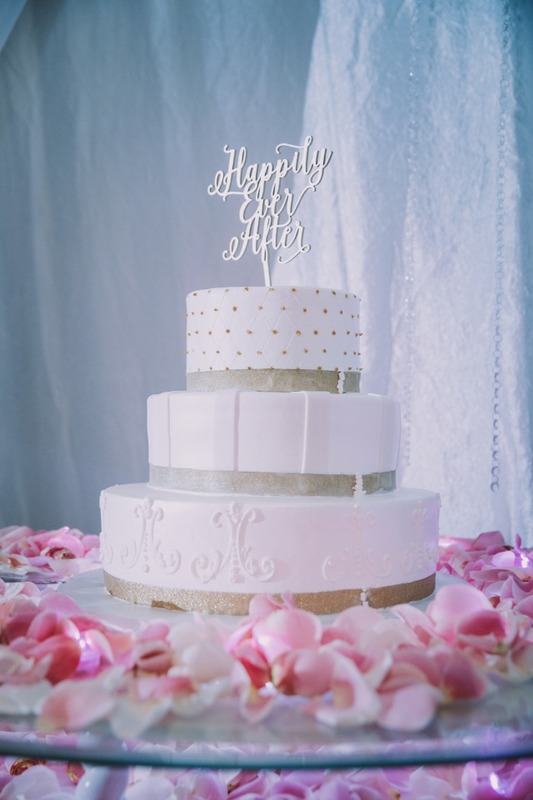 Just wait till you see how pretty their sweetheart table and their dessert table turned out! 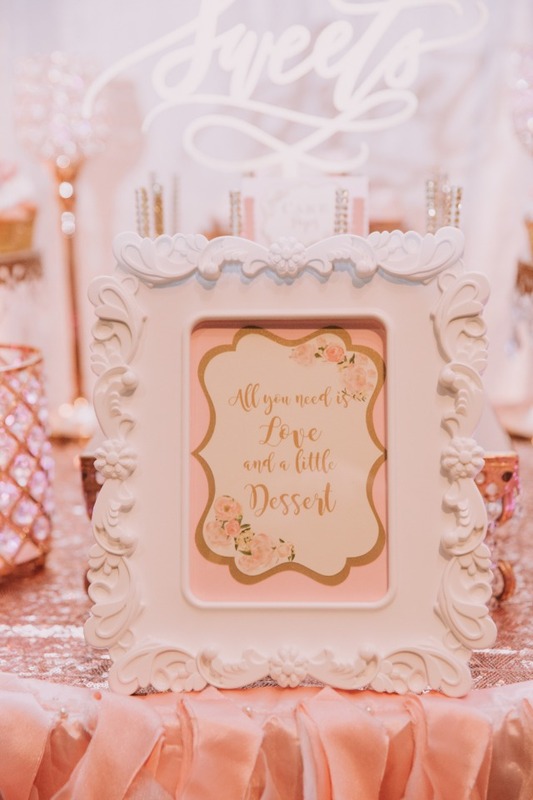 But that’s not all there is to love about this special day. 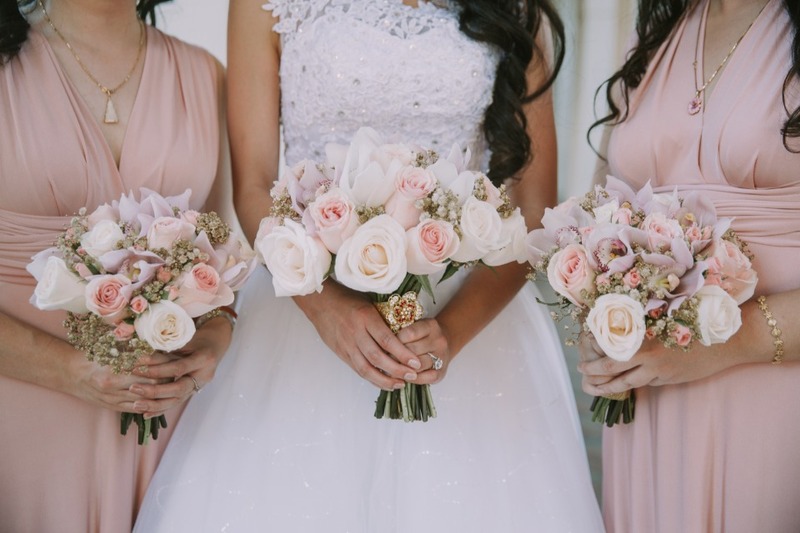 Visit the full gallery here for more up close details, captured by the talented Clair Chang. 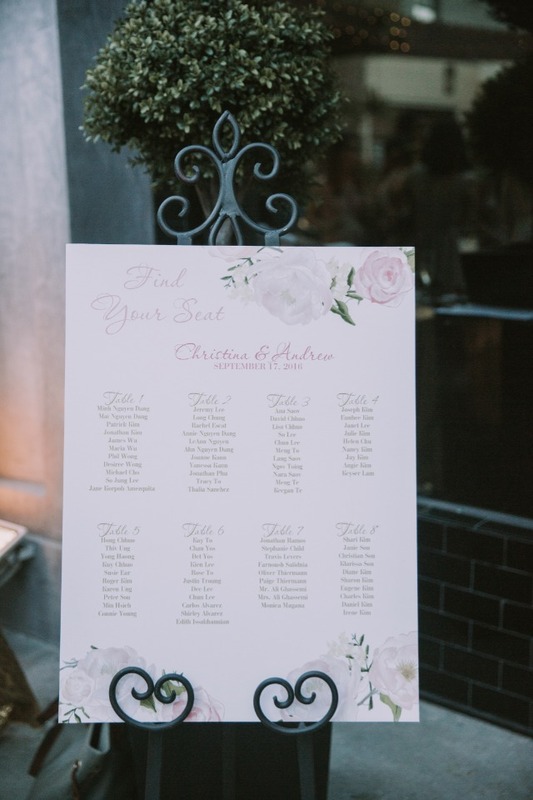 From DCFL Events: Christina and Andrew were college sweethearts. 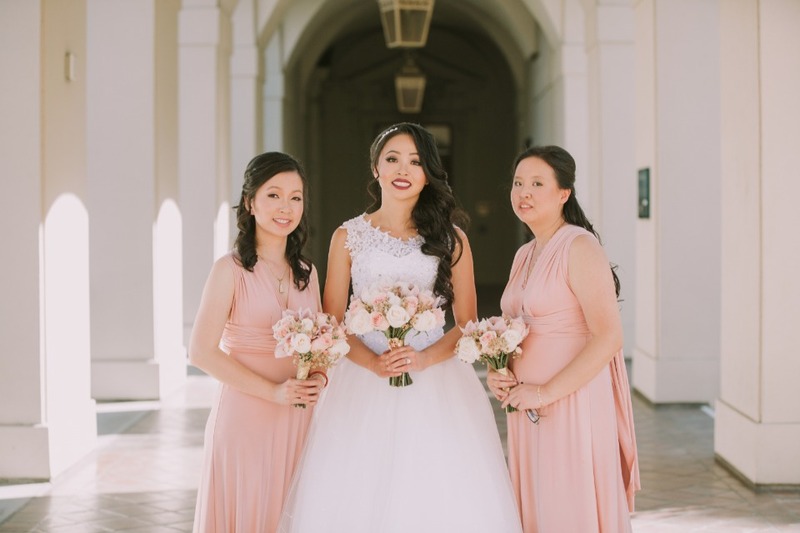 Lucky for these two Christina's sister was an event planner. 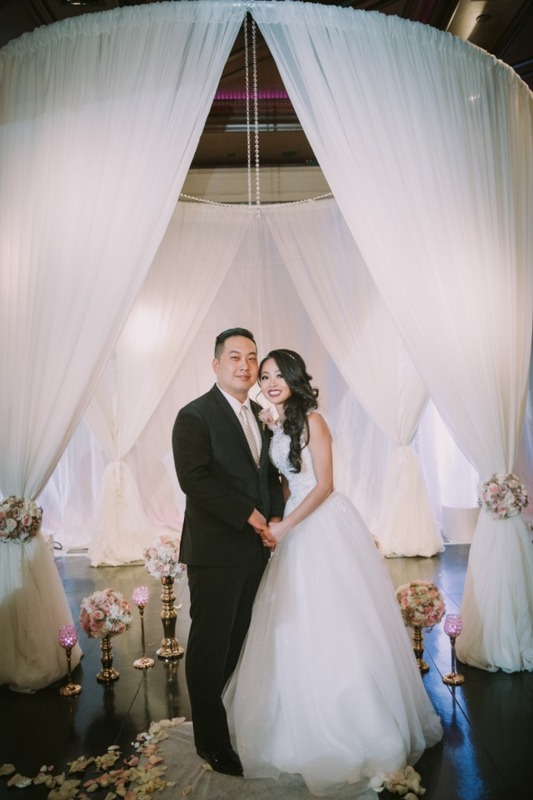 When the day came to plan and design their wedding, it took off without a hitch. 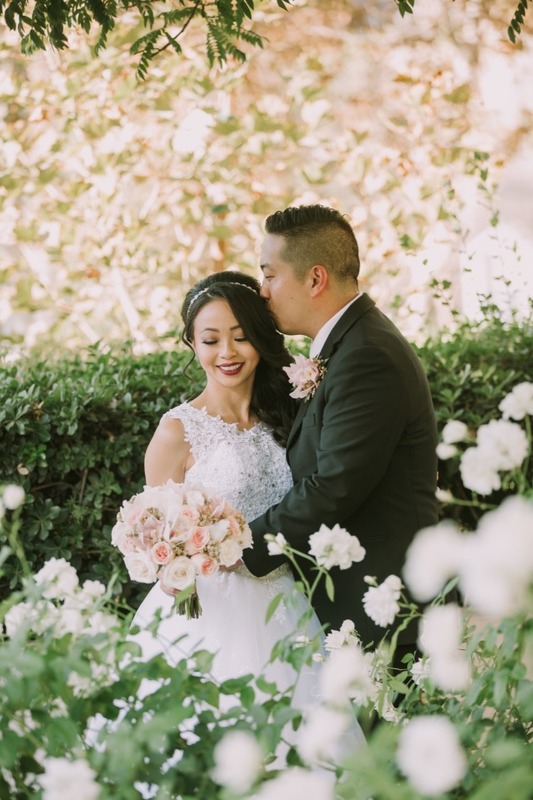 In an intimate ceremony with 80 of their closest family and friends they said I do. 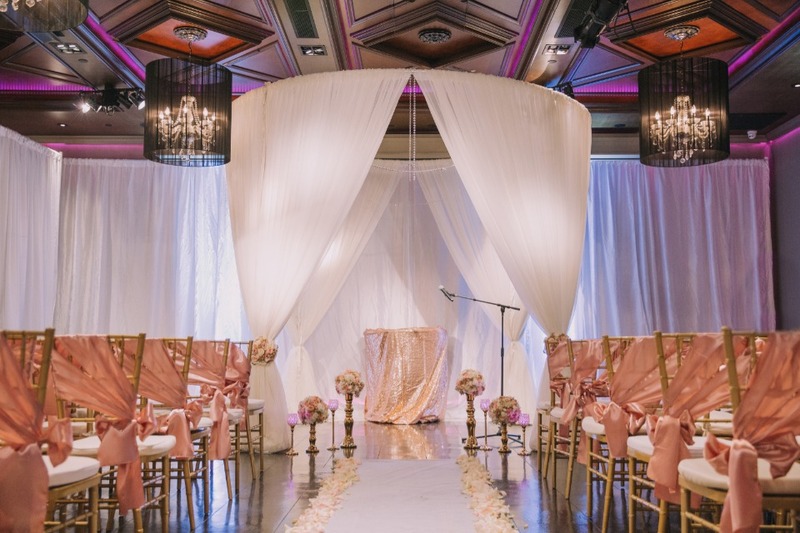 They sealed their vows in a beautiful round chuppah, surrounded by gold chivari chairs and blush sashes. 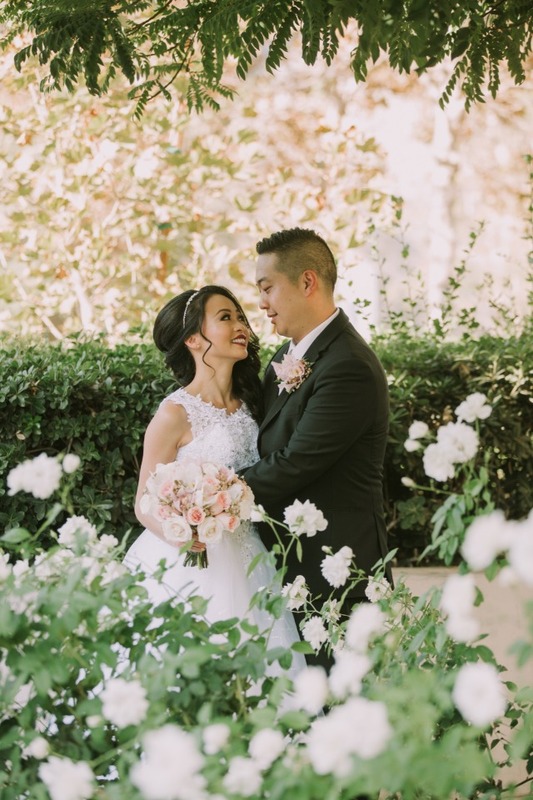 Their wedding day was overflowing with romance and elegance. 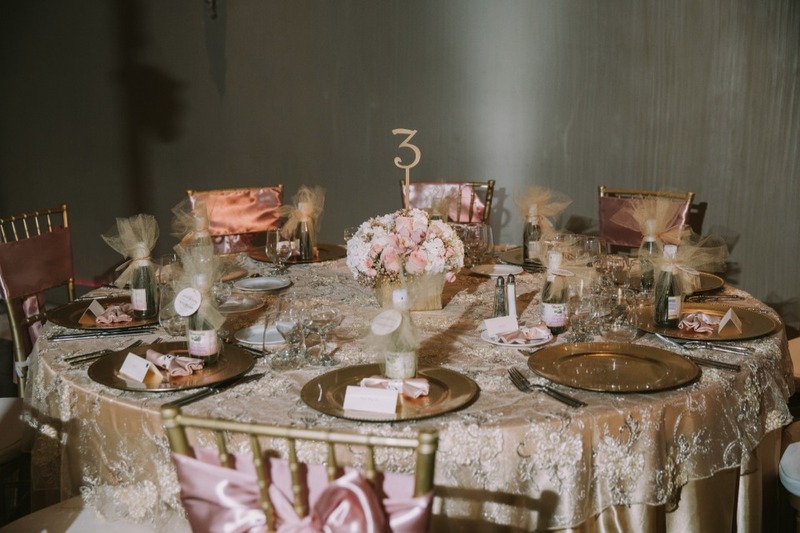 It was a chic and glam affair. 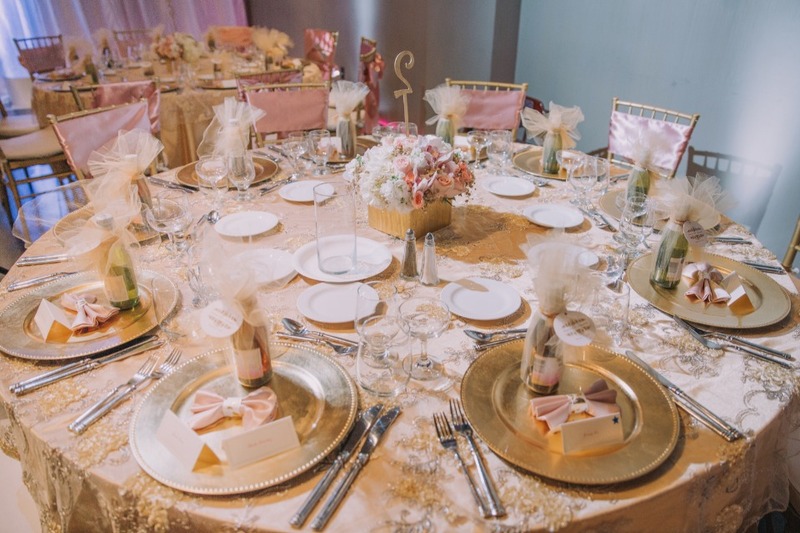 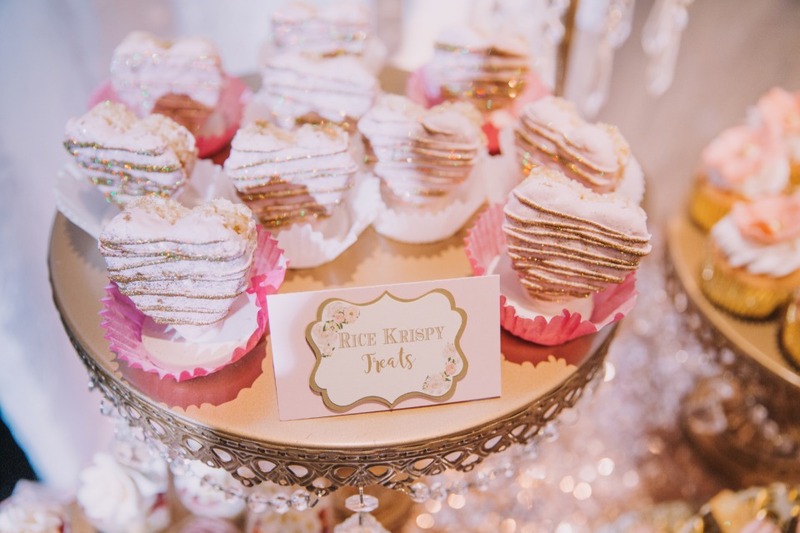 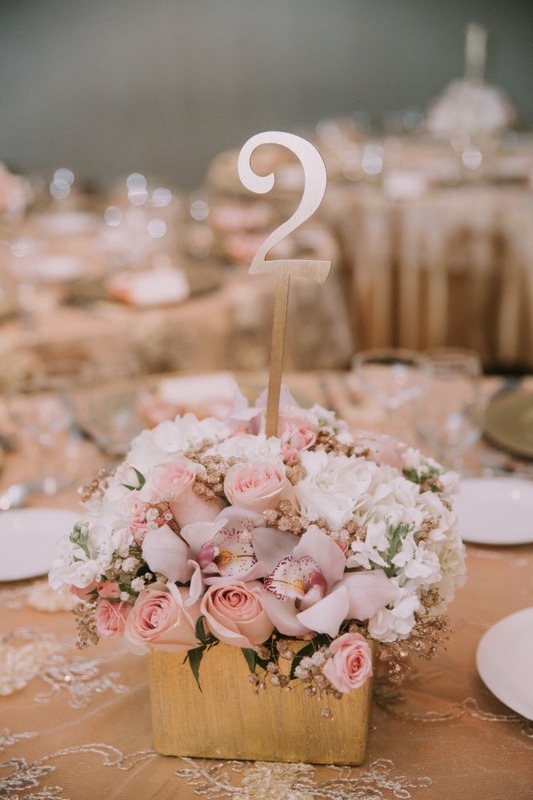 The reception was filled with lush pink florals, blush linens, and gold accents. 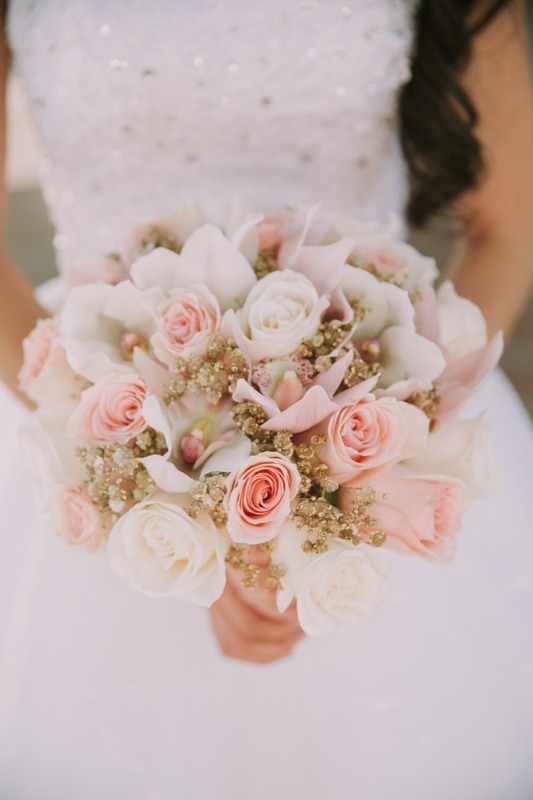 Details were not overlooked. 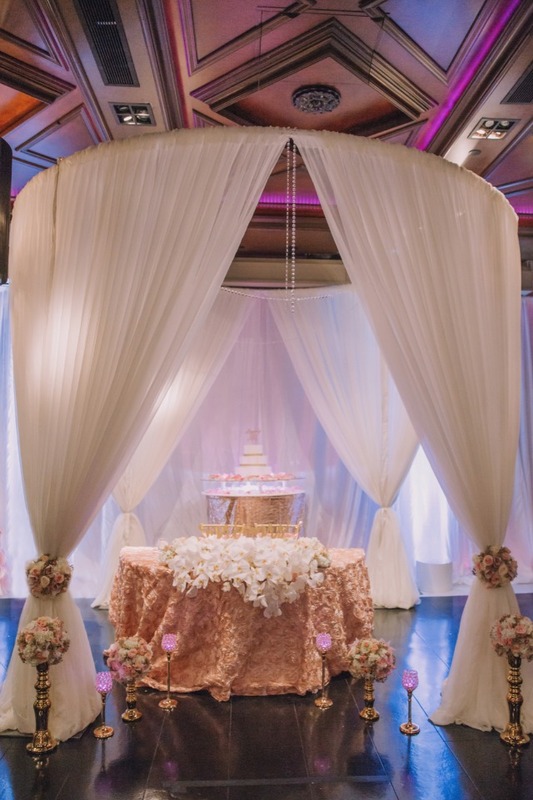 Every detail embellished the glamorous decor. 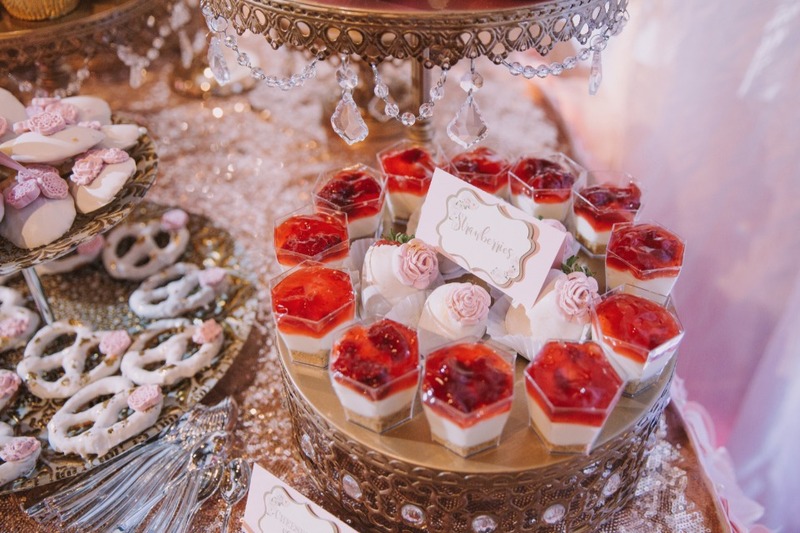 The dessert bar was the most gorgeous presentation of delicious desserts. 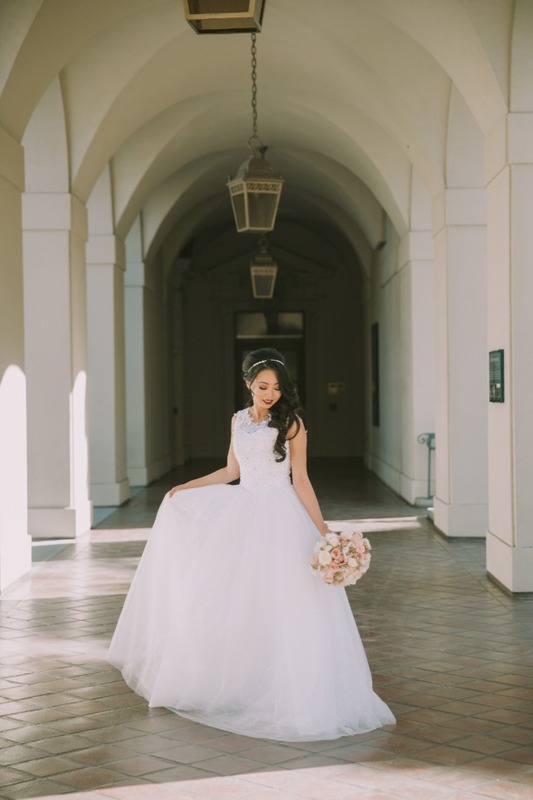 It made all the senses come alive. 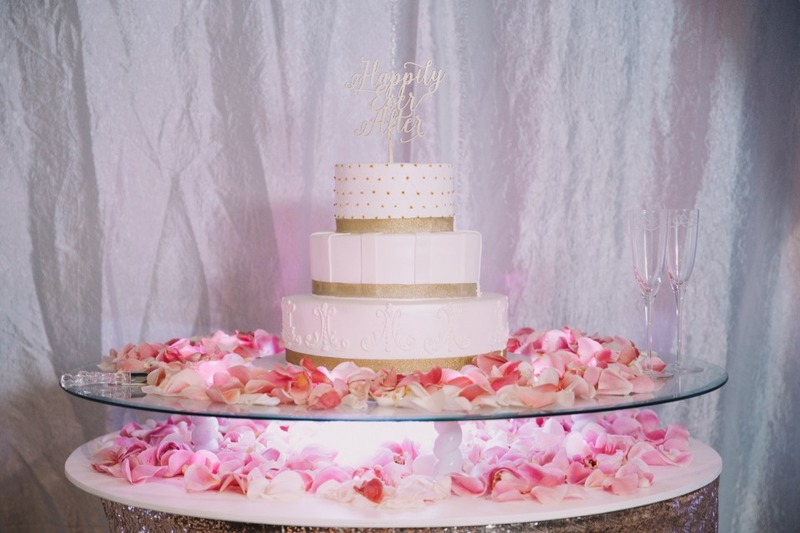 It was filled with cake pops, cheesecake shooters, chocolate dipped madelines, chocolate dipped oreos, chocolate dipped pretzels, chocolate dipped strawberries, cupcakes rice krispy treats, strawberry shortcake shooters, and mini donuts.